The family of an Abbotsford woman who has been missing for a week issued an emotional appeal on Tuesday morning for the public’s help in trying to locate her. The mom, dad, brother and sister-in-law of Crystal Ratvay, 33, held a press conference outside the Abbotsford Police Department, saying they were desperate to find her. “Crystal, if you’re watching this, we love you, we miss you, and please come home,” said Adam Ratvay, Crystal’s brother, to the TV cameras. 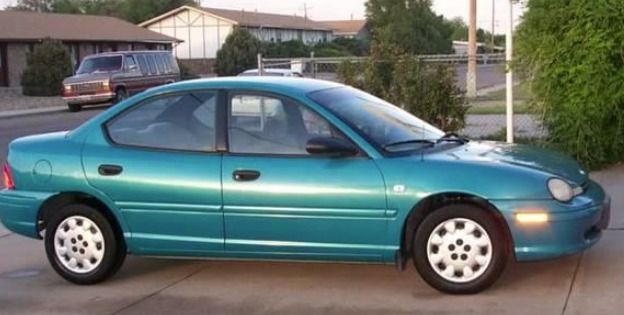 The family held photos of Crystal and of her 1997 green Plymouth Neon, with licence plate 004 NRL, which police say is crucial to her disappearance. “We certainly believe that if we can locate that vehicle, we can locate Crystal,” said Abbotsford Police Const. Ian MacDonald. Crystal was last seen by her family on Tuesday, Sept. 9 as she drove away from her parents’ home in Abbotsford. She was wearing black pants, a black shirt and running shoes. She has not had any contact with family or friends since nor has she been on social media – two things she previously did on a regular basis. MacDonald said police have checked banking records, hospitals and borders, and there has been no sign of Crystal. Numerous tips about possible sightings have come in since police first issued a press release on Saturday about her disappearance, but MacDonald said none of those has led to the missing woman. Adam said his sister is suffering from depression, due to debilitating pain from some serious accidents, and she is living on disability payments. Mike Ratvay, Crystal’s dad, pleaded with his daughter to contact the family. “All your friends and family love you very much … Let us know you’re OK,” he said tearfully. Crystal was in the news in 2011, as one of the victims of the Stanley Cup Riot, when rioters flipped her car – a 1990 Chevy Cavalier – onto its roof and destroyed it. She had just received the car that day from her aunt, and friends organized a fundraising campaign to help her replace it. The media attention resulted in Ratvay receiving a 2003 Cavalier to replace her damaged one. At the time, Crystal described that she had been suffering from post-traumatic migraine disorder since 2005, when the car in which she was a passenger smashed into a power pole. The pain became so debilitating that she dropped out of college, lost her job at a bank, and moved back home with her parents. Crystal detailed her ongoing health issues in emails to an Abbotsford News reporter last summer, explaining that she had had two more accidents since the 2011 reports. In one, she fell backwards down some stairs, landing on her hip. In the second, in January 2013, she was driving the vehicle she had been given following the riots and crashed into a truck stopped on the freeway. The collision happened just a month after Crystal had begun a new job with the Abbotsford school district. At the time of her emails, Crystal was battling with the government over her disability benefits being withheld and what she said was unfair treatment from the Ministry of Social Development. A letter that she wrote, but had not yet finished or sent, to the ministry detailed her frustrations with a system which she said made her feel hopeless and the stress that it had caused her and others like her. “I would like to be taken seriously, as I am not a drug addict, but a very educated, hard-working, independent woman whose life has fallen apart due to some really unfortunate events …,” the letter stated. Anyone with information about Crystal’s disappearance is asked to contact the Abbotsford Police Department at 604-859-5225 or text 222973 (abbypd). 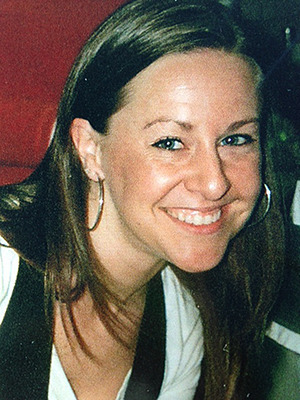 She is described as 5′ 3″, 115 pounds with a slim build, blue eyes and long blonde hair.